Dr. Kirsten Gilmour is a licensed chiropractor with physical therapy privileges in Maryland and Virginia. With a background in Human Kinetics, she earned her doctorate from New York Chiropractic College. 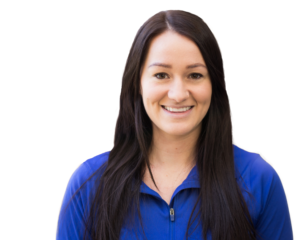 She has completed certifications and seminars in a variety of approaches including functional assessments, myofascial therapies, and joint manipulations. She is dedicated to providing patients with an integrative approach to health care while evaluating the body as a whole. She focuses on addressing the body’s dysfunction through muscular imbalances, joint dysfunction, and faulty movement patterns. Dr. Gilmour tailors all treatment plans specific to meet each patient’s individual needs and goals. Her passion for health care began with her own personal experience as a chiropractic patient recovering from athletic injuries. Dr. Gilmour has background experience in competitive gymnastics and bodybuilding. In her spare time she enjoys working out, practicing yoga and hikes with her dog Zeke.